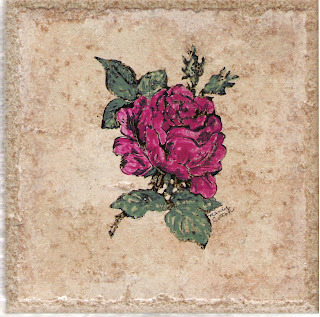 This is a tile that I picked up at a Home Depot store and then stamped a rose from PSX on the top and colored it with Tom Bows. I baked it at 350 degrees for 30 minutes. 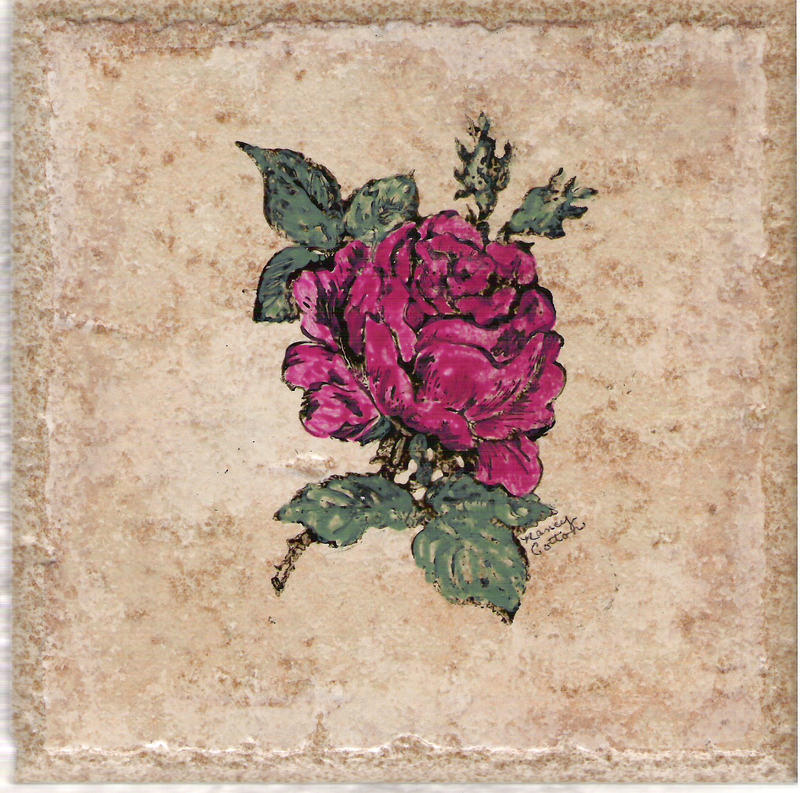 Then made it into a trivet. I was visiting The Stamp Addict in San Diego CA where I got the directions on how long I should bake it..